We're proud to announce that Casper Brooker is now pro for Isle. We surprised Casper with his new pro model, joined by many of our friends at the Cross Keys, next to Slam City in Covent Garden. 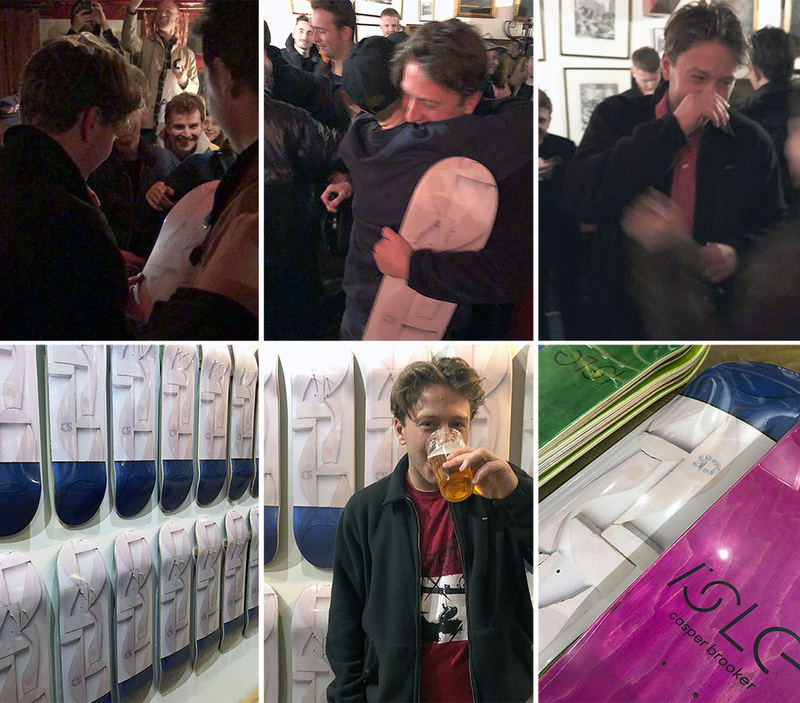 Many thanks to Colin Kennedy (Nike SB), Jake Sawyer, Matt, Marshall and all at Slam City, Wes and all at Rock Solid, Sam Ashley (Free), Jacob Harris, Victor and the staff at The Cross Keys – and all those who came along to drink pints and spray Prosecco everywhere. Casper's debut graphic is based on one of Nick Jensen's plaster sculptures, with the lower section taken from one of his tonal canvas paintings. We edited some of the surface sections, tidied up a few of the edges and moved a few elements around, before settling on this finished graphic. 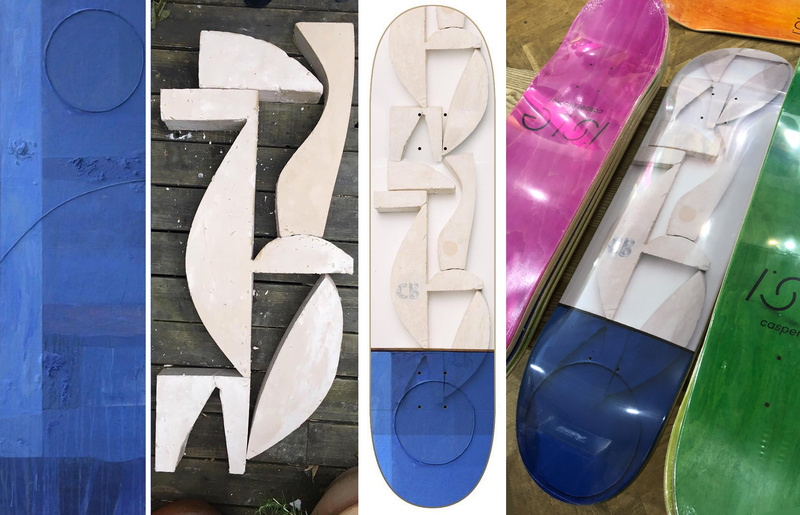 Casper Brooker's 'Structure' pro model is available now, in 8.25" and 8.5" (if you're quick, you might be able to grab one of the first twenty that we stuck on the wall at Slam). Congratulations, Casper!